Hello, dear readers! 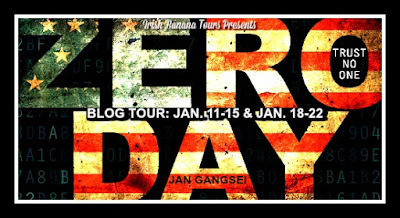 Welcome to my stop on the blog tour for Jan Gangsei's Zero Day! This thriller takes place in the White House after the president's previously missing daughter magically reappears. (And if you happen to see a copy in real life, you'll notice that the pages are very coolly edged in black!) I have an interview with Jan and some fun info behind Zero Day, plus a giveaway. Check it out! Rachel: A thriller. Set in the White House. DO TELL. Jan: Thanks! 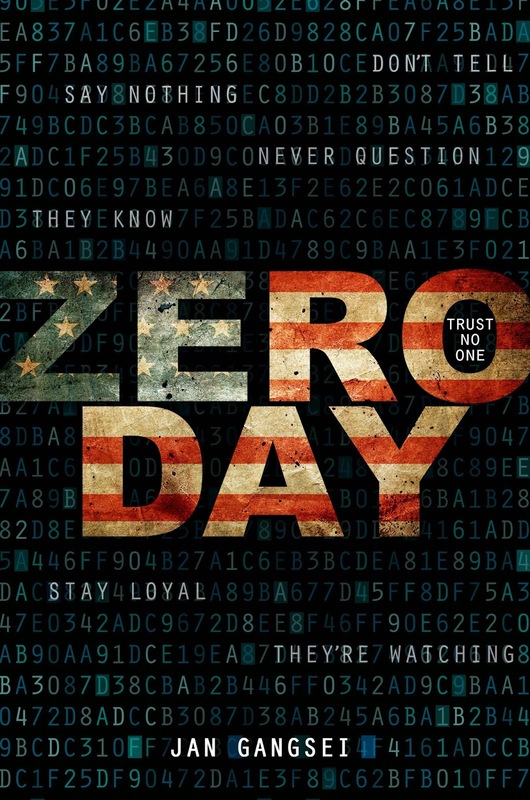 Yes, Zero Day is the story of Addie Webster, who was kidnapped at age eight while her father was governor of Virginia. She returns eight years later under mysterious circumstances to her new home—the White House. Family and friends are obviously overjoyed to have Addie back, but her timing is suspect. Enter Darrow, Addie’s childhood best friend, who will do whatever it takes to figure out what’s really going on—even if it means risking his own life. Rachel: What did you set out to write first: a story about someone who was kidnapped to be used for ulterior motives, or a story taking place within the White House? Jan: Actually, both! The whole idea was: what would happen if someone who was being used for ulterior motives actually had access to the most powerful person in the world? 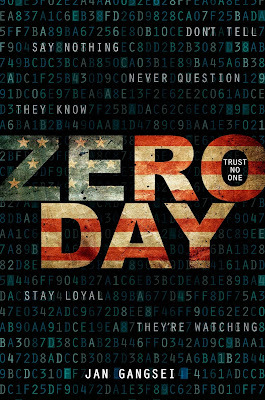 Rachel: Since Zero Day takes place in the White House and presumably involves all sorts of political and official whatnot, did you have to do a lot of research? Jan: Definitely! I live just outside Washington, DC, so I’m quite familiar with most of the settings in the book—I’ve driven the Beltway more times than I can count, have spent hours at places like the Air & Space Museum, and have been fortunate enough to attend events at the White House (which I used as the inspiration for Addie’s homecoming reception). I’ve also participated in attaché training at the DIA, where we were taught everything from how to properly set a table to shoot a gun and handle hostage situations (it was an amazing experience!). Rachel: There have been a few stories about the president’s daughter, like First Daughter and My Date with the President’s Daughter. Those tend to be fluffier and on the lighter side, though. So what inspired you to write a story that’s not only about the president’s daughter, but that’s more serious? Jan: I also enjoy fluffy stories and light-hearted romances, but my absolute favorites are those that dig into the darker side of human nature. I love to think about how we define good and bad, how we choose sides, and what motivates people to cross the line from one to the other. I also just love a good edge-of-your-seat thriller that leaves you wondering what will happen next! Rachel: What elements do you think make a thriller a thriller, and how did you try to incorporate them into your novel? Jan: I think a good thriller incorporates both action (give me a ticking time bomb, a hair-raising chase scene, and lives hanging in the balance…), as well as a psychological edge (what made the character choose this path, what makes them tick, will they follow through…?). There are a lot of action scenes in Zero Day, but I also tried to give Addie and Darrow a backstory—both separately and together—so the reader could understand their motivations. Jan: “Zero Day” refers to a flaw in a computer’s operating system that isn’t caught until it’s too late to fix (i.e., there are zero days to fix it). And for Addie, the phrase may have a bit of a double meaning. But that’s all I’m gonna say! Rachel: Zero Day is your debut novel! Woohoo! What’s your experience as a debut author been like so far? Jan: Thank you! It’s been exciting, thrilling, mildly terrifying, and to be honest—a bit surreal. But mostly, it’s been wonderful, and I spend a lot of time pinching myself (and keeping an eye out for black helicopters ;). Rachel: Are you a pantser or a plotter? Rachel: If you were to write another thriller set in a well-known place and with a high profile character, where would it be and who would it be about? Jan: Oooh, that’s an awesome question. I actually have several ideas bouncing around my head. I’d love to do another thriller set in DC, but with a different angle—maybe incorporating the CIA and foreign agents, dead drops and all that fun stuff. I’d also really enjoy writing something that draws from my experience with the attaché program (which is basically a fancy word for spy), in an exotic foreign setting like Moscow or somewhere in the Middle East. Rachel: Favorite shows, movies, or books having to do with presidential things? Jan: So many! I’m a total Homeland addict. (But gah, the end of this last season. Don’t want to spoil anything, but my man Quinn… can’t take it!!!). I’m also guilty of binge-watching every season of 24, and am enamored with FX’s incredible spy series, The Americans (if that’s not on your radar, put it there—it’s AMAZING!). And I pretty much devour anything ever written by Nelson DeMille and David Baldacci; and of course I think anyone interested in politics (and human nature) should read Robert Penn Warren’s All the King's Men, a classic story of power and corruption that in many respects still rings true today. Eight years ago, Addie Webster was the victim of the most notorious kidnapping case of the decade. Addie vanished—and her high-profile parents were forced to move on. Mark Webster is now president of the United States, fighting to keep the oval office after a tumultuous first term. Then, the unthinkable happens: the president’s daughter resurfaces. Addie is brought back into her family’s fold, but who is this sixteen-year-old girl with a quiet, burning intelligence now living in the White House? There are those in the president’s political circle who find her timely return suspicious. When the NSA approaches Darrow Fergusson, Addie’s childhood best friend and the son of the president’s chief of staff, he doesn't know what to think. How could this slip of a girl be a threat to national security? But at the risk of having his own secrets exposed by the powerful government agency, Darrow agrees to spy on Addie. It soon becomes apparent that Addie is much more than the traumatized victim of a sick political fringe group. Addie has come with a mission. Will she choose to complete it? And what will happen if she does? Jan Gangsei grew up in small-town Vermont, reading Nancy Drew mysteries, putting on backyard shows with her best friend and dreaming about exploring the world. After college, she landed a job as a newspaper reporter covering politics and the police beat, and was astonished to discover she could actually get paid to write and tell stories. Since then, she's lived in Key West, New York City, DC and Barbados. She's now settled with her family in northern Virginia, where she writes full time with a cup of hazelnut coffee in one hand and a Jack Russell terrier named Watson curled under her legs. 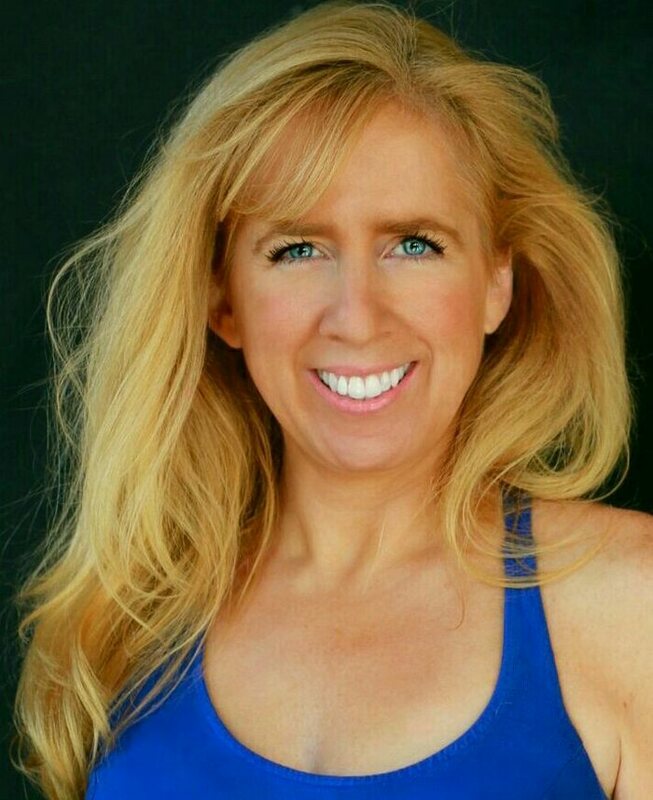 Her debut young adult novel, Zero Day, publishes with Disney-Hyperion in January, 2016. Are you super excited to read Zero Day? I too love The Americans! And I love how she also delved into the psychological aspect of thrillers! This was an awesome interview! 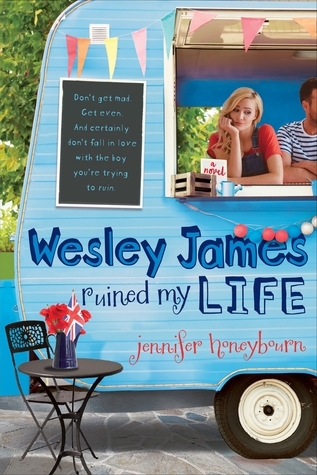 I definitely plan on adding this to my goodreads TBR. I don't read a lot of things concerning the white house, especially the first daughter being kidnapped (even though I love politics in books!) so I hope I can get my hands on this soon! Thanks for the interview and post. This novel sounds so well-written for a debut! How awesome to be live in the city you're writing about, so even if you can't go into the private quarters in the White House, at least she knows the buzz of the city! Thank you for this review as it made me interested in reading this book. It has to be a great and interesting story. I want to thank you for writing this article.This is great Article for me. It also more very informative & awesome. I expect more articles from you in future.